The best riding holiday I ever did!! Amazing horses and landscapes, perfect guide! A perfect week goes fast to the end � Thank you all for the wonderful week! We see us on the next Trail! It is a very very good trip!!! Thank you very much for this amazing week with great horses and great people! 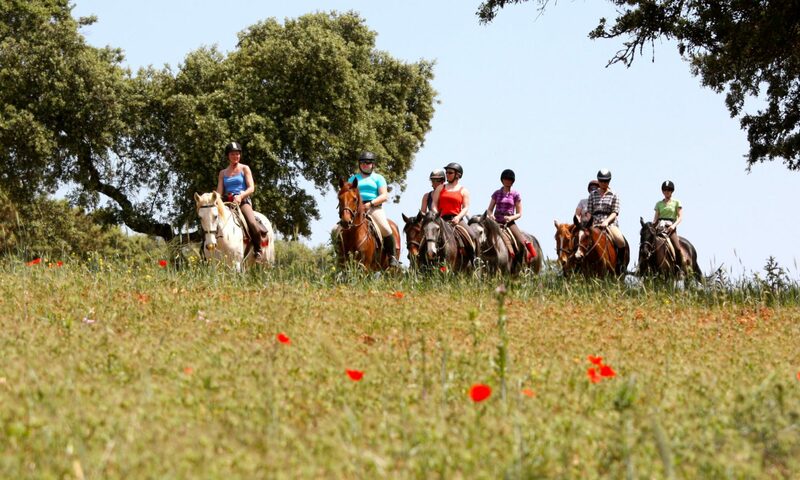 Fabulous flower filled ride in the sun with plenty of time for picnics and tapas! My best holidays ever - everything was great - thank you for this wonderful experience ! Great horses, great guide, great food. Beautiful country and riding on the beach was the experience of a lifetime.